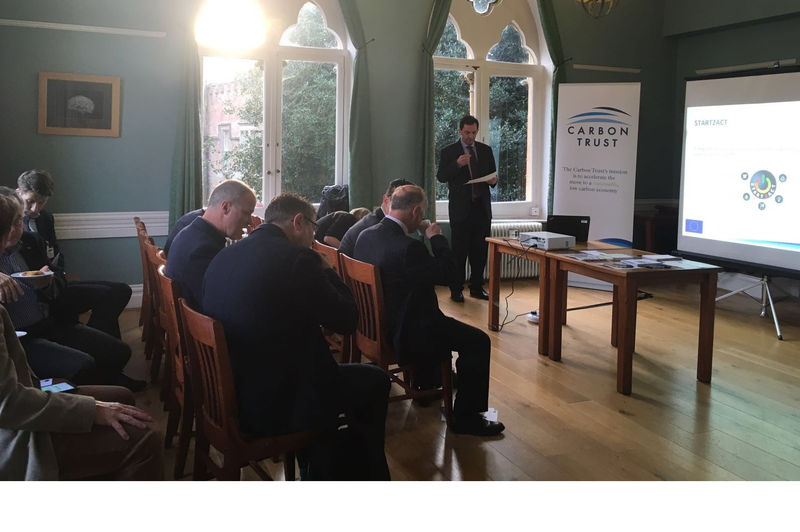 In November 2016, with the support of Future South, the Carbon Trust ran its first START2ACT Business Breakfast. The breakfast attracted 13 attendees ahead of Future South's 5th annual conference. Future South is a not-for-profit public-private partnership that supports low carbon innovations creating economic growth and improving quality of life. The breakfast briefing covered: the important no-to-low cost energy saving opportunities that can be found in the office and the further support available from START2ACT. The Carbon Trust looks forward to working with Future South to promote the next stage of START2ACT support to businesses in the region. Eligible young businesses can receive free one-on-one consultancy from a Carbon Trust expert. The businesses will receive 3 site visits over the course of a year. The purpose of these visits is to help businesses to understand their energy use and make changes to reduce their energy bills. The format of these visits will be flexible to allow businesses to ask questions and solve any problems that they face when implementing energy saving projects.